The important thing about these most practical and usable illusions is that they were created with the idea that the modern performer had to carry them in his car, use them on small platforms and stages, or in clubs, and yet had to give the impression of doing a big show. 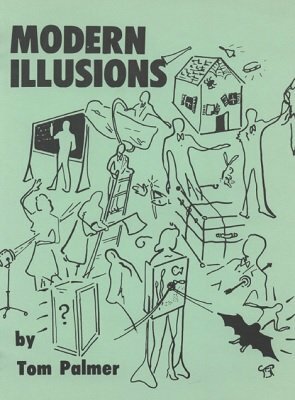 Here you have eleven easy to build illusions which fit all the above requirements, and they are mysterious, exciting and applause getting, to boot. Plenty of good illustrations will help you build these good, practical tricks. A minimum of carpenter work is required. Light and easy is the motto for this line of tricks.Large size pages make the plans easy to follow.